The collaborative efforts of chemists, biologists, and other researchers have all helped advance society with the creation or discovery of various medicines and techniques. Brand new types of treatment are still being explored and discovered today. Imagine a massage that could reach your deep tissues, muscles, organs, and even cells. This form of massage is real, and it’s called vibroacoustic therapy. This new treatment explores how music and vibrations can be used to improve our health. How does vibroacoustic therapy work? At its core, music is just sound, and sounds are just vibrations. Vibroacoustic therapy uses speakers or transducers placed inside a mattress. The speakers produce vibrations that are applied directly to the body to ease certain symptoms. Because the human body is over 70 percent water, sound travels very efficiently. Water particles are close together, and it serves as a great medium for vibrational energy to travel through. The vibrations travel through the body to deliver a deep cellular massage, which provides a multitude of positive effects on the different systems of the body. Vibroacoustic therapy also helps in the management and relief of pain. Dr. Patrick’s NIH program found that those who listened to music while feeling the vibrations experienced a greater reduction in pain than those who were in the placebo group or only listened to music. The reduction in perceived pain suggested that the pain relief was relaxation-induced. Vibroacoustics also have a long-standing relationship with physical therapy. Patients found treatments using vibroacoustic therapy increased their range of motion as well as kept their muscles stimulated. Research at Duke University Medical Center used Selective Low Frequency (SLF) physio-acoustic treatment on patients following total knee replacements. Patients showed greater range of motion during their physical therapy sessions. The practice of using music or sound in medicine is not new. We use ultrasound, or high frequency sounds, to create images in of bodies, and we use music to soothe our emotional burdens. Music has always felt much more purposeful than just a form of entertainment. 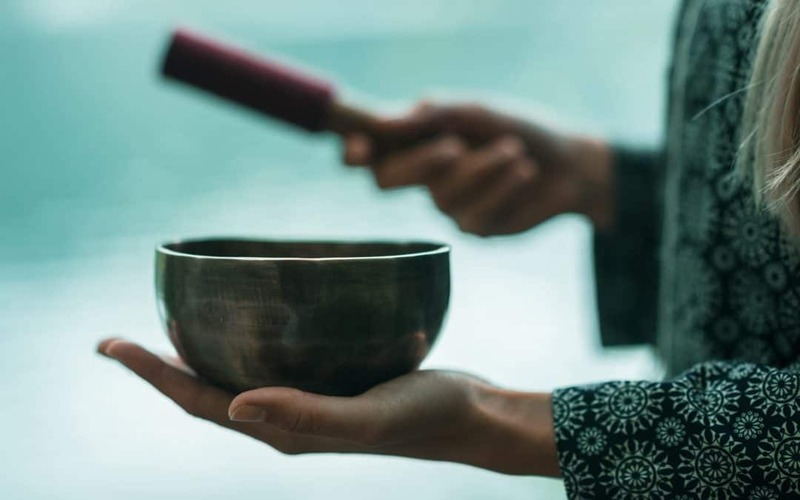 Most ancient cultures discovered the magical healing power of sound. The Aboriginal people, a tribal group from Australia, are the first known culture to repurpose music as a healing tool. 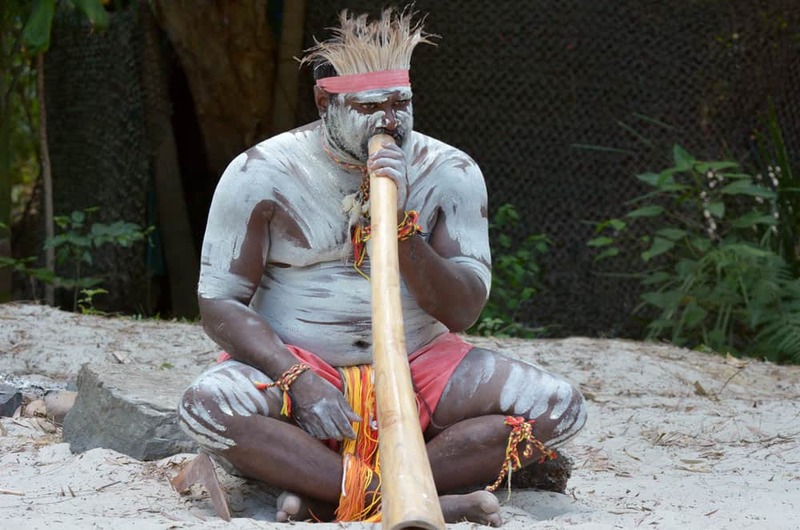 The yidaki, known commonly as a didgeridoo, has been used as a healing tool for over 40,000 years. The didgeridoo is a man-made wind instrument that produces very deep sounds and vibrations. It is played primarily for dancing and singing. They were commonly used for recreational purposes. When they weren’t being played for ceremonies, the aboriginal healers would use these instruments to create deep sounds and vibrations to tend to the infirm. The sounds were used to treat inflictions ranging from repairing damaged muscles and bones, to stabilizing the mentally ill, by attempting to soothe their minds. In ancient Greece, there was a man named Pythagoras. This famous philosopher is credited as being the father of philosophy, father of mathematics, and the Father of Music. Pythagoras applied mathematics to everything from art and architecture to handling relationships or running a government. Pythagoras discovered that musical notes carried mathematical properties and can be translated into mathematical equations. 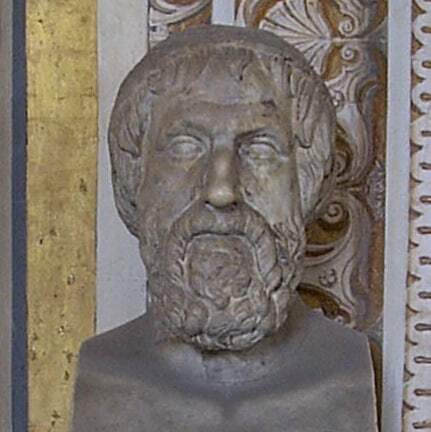 The Greek philosopher founded the Pythagorean School of Mathematics, as well as made numerous contributions to mathematics. Pythagoras was one of the earliest to prescribe music as medicine. At Pythagoras’ school, the flute and lyre were taught as healing instruments. 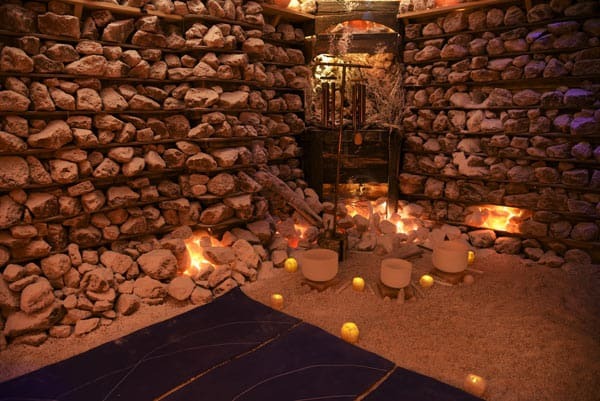 To aid in the healing, the Greeks also used healing temples as incubation chambers. The patients underwent a process called “dream sleep,” in which music was used therapeutically. The chambers were designed to enhance the reverberant spaces of the temple, to induce the curative aspects of the music. The ancient Egyptians also believed in the healing power of sound. Their healing rituals would take place at healing chapels and consist of priestesses playing a sistrum, a musical rattle made with metal disks. The sistrum provided pleasant sounds but also produced ultrasound, which is used in hospitals and clinics today. Researchers have provided evidence that the Egyptians designed their chapels and chambers to be as reverberant as possible to increase the resonant healing properties of sound. Healing techniques using vibroacoustic principles offer an effective form of treatment for both emotional and physical ailments. The deep vibrations that massage the body have been found to stimulate blood circulation, allowing our body to heal faster. The increase in circulation results in better management and relief of pain. Vibroacoustic therapy is typically accompanied with soothing music. The music is composed in a way which complements the frequencies of the vibrations. This principle behind vibroacoustic therapy is called brainwave entrainment. Brainwave entrainment It is a method described as stimulating your brain into certain states by using sound, or lights. Now, what does altering your brain waves have to do with your health? Brain waves are the root of all your thoughts and emotions; they are the electrical pulses that facilitate communication between your neurons. The state of our brainwaves, and how your day is going, is deeply connected and inseparable, and research has shown that irregular brainwaves are associated with all sorts of emotional and neurological conditions. Our brainwaves exist in a few states best described as ranging from slow and loud to fast and complex. You might have heard of some of these different brain waves: delta waves, theta waves, and alpha waves. The different kinds of waves are associated with all sorts of feelings, ranging from a deep meditative state, to conscious information processing. There’s a phenomenon called the frequency following response, where a living thing will tend to sync up its function or actions to another periodic source of sound. Imagine you are in bed, minutes away from snooze town, when suddenly, you hear a “tik, tik, tik” the sound of small water drops dripping in your sink. Then, you slowly drift back to sleep, but now you hear a cricket’s faint “chirp, chirp, chirp.” You try to ignore it and close your eyes. However, you notice the drops of water and calls of the crickets coalesce. You realize the two sounds are syncing up. This is where brain entrainment comes in. By using pulsing sounds, lights, or electromagnetic fields, we can elicit the brain’s frequency following response. This method stimulates the brain into a specific state by trying to align the brain’s waves into a certain frequency. Brainwave entrainment works on almost everybody and is a common way to induce different states, such as relaxation, focus, or even drowsy. Brainwave entrainment techniques are dated to be found as far back as the bronze age. Chambers were found to be acoustically tuned to specific frequencies, and certain cultures used flickering sunlight shining through a spinning wheel in attempts to induce different altered states. No, the brain does not just operate in any single frequency; the brain is a complex organ, and the full spectrum of your brainwaves are always running. It is the dominant brainwave that determines your mental state. Technology provides us with a means to understand the world. Vibroacoustic therapy is on the path to becoming an important option in treating certain health concerns in the future. The low vibrations promote movements, thus increasing blood circulation. Music enables people to achieve heightened relaxation. Although researchers are rediscovering techniques to combine vibrations and music to take care of our health, continued research and development of the applications and protocols involving vibroacoustic therapy is essential in reaching the technology’s full potential. Richway & Fuji Bio have developed a a revolutionary, vibroacoustic therapy device called the BioAcoustic Mat™. The BioAcoustic Mat™ is comfortable and light designed to make relaxation easy. Learn more about the BioAcoustic Mat.